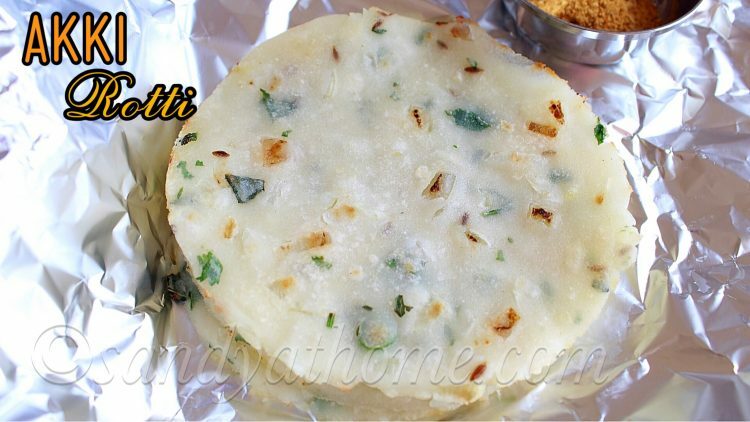 Akki rotti is an instant, quick and easy to make breakfast hailing from the state of Karnataka. 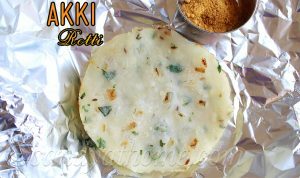 Akki rotti is prepared with rice flour and few other ingredients to add flavors and taste to the dish. 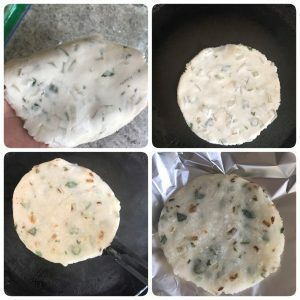 I learnt this recipe from my aunt in bangalore, who also taught me lot of variations in akki rotti more yummy ones, but I wanted to post this recipe first for all of my beginner friends. 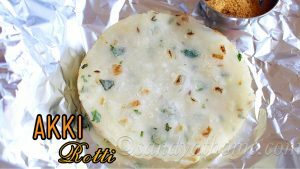 Akki rotti takes only 10 to 15 minutes to prepare and also involves only handful ingredients in its making. 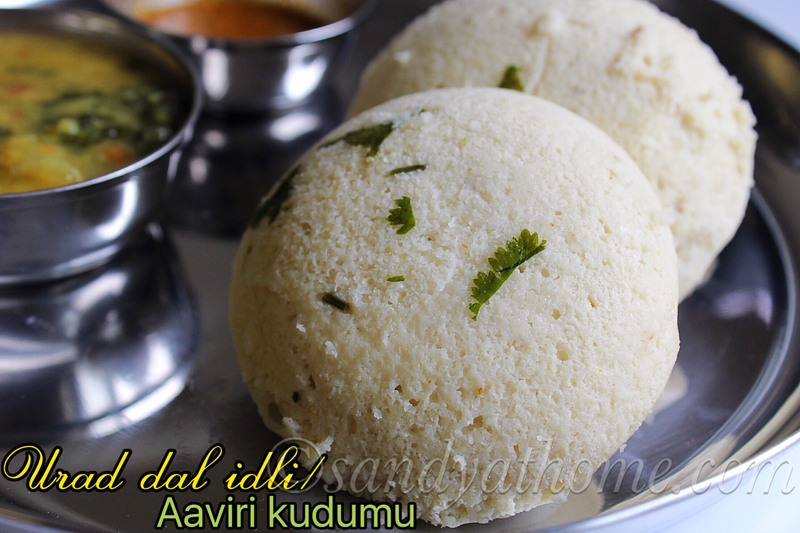 I usually make this rotti on busy mornings, or if I run out of idli batter as a simple chutney or even pickle will go well with akki rotti. So lets get to the making! 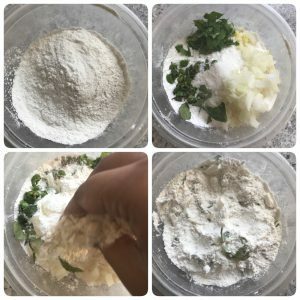 In a bowl add rice flour, chopped onion, green chilli, cumin seeds, curry leaves, chopped ginger, cilantro and salt. Mix well. 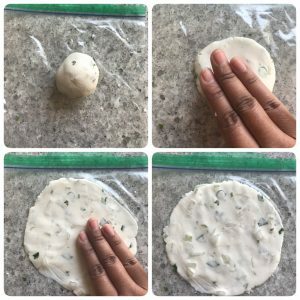 Take a ziploc bag/ any cover. Grease it with little oil. 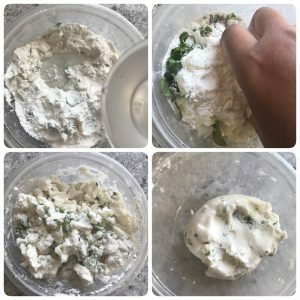 Pinch a medium sized dough and keep in the center of the ziploc bag. 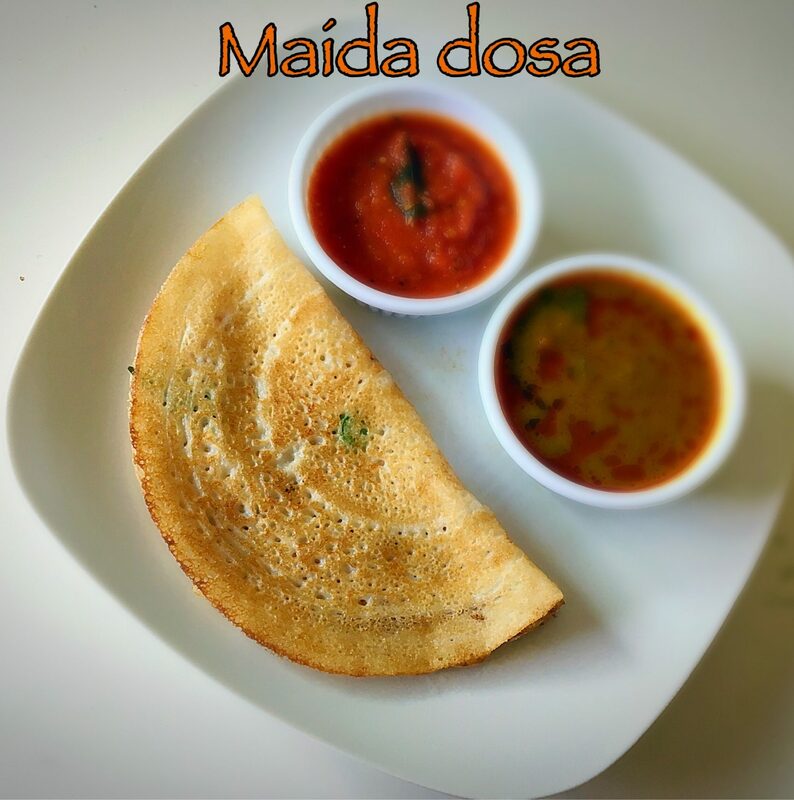 Flatten it gently with your fingers and spread it into a round rotti. 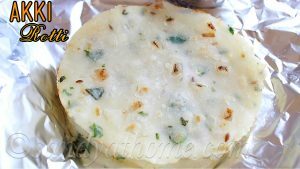 Gently remove it from ziploc bag and place it on preheated tawa. Drizzle some oil around it and cook in medium flame. 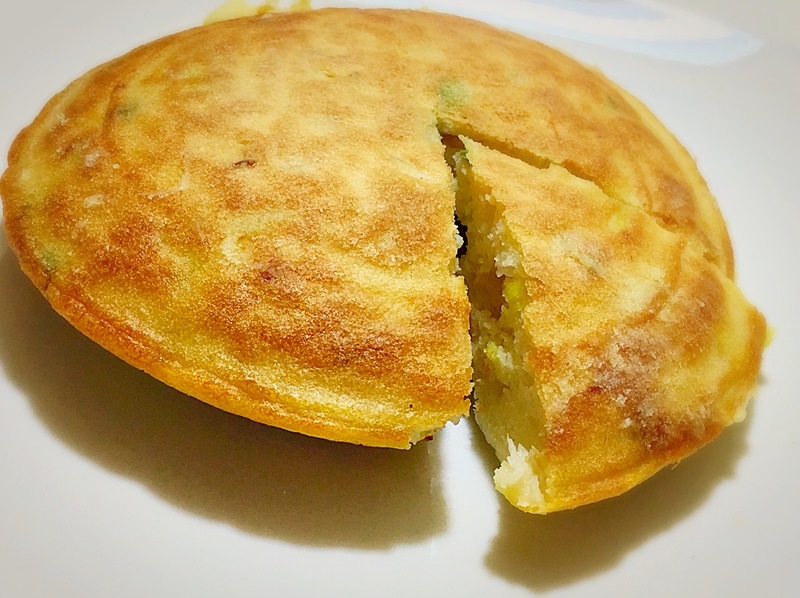 When one side is done, flip and cook till brown spots appear. 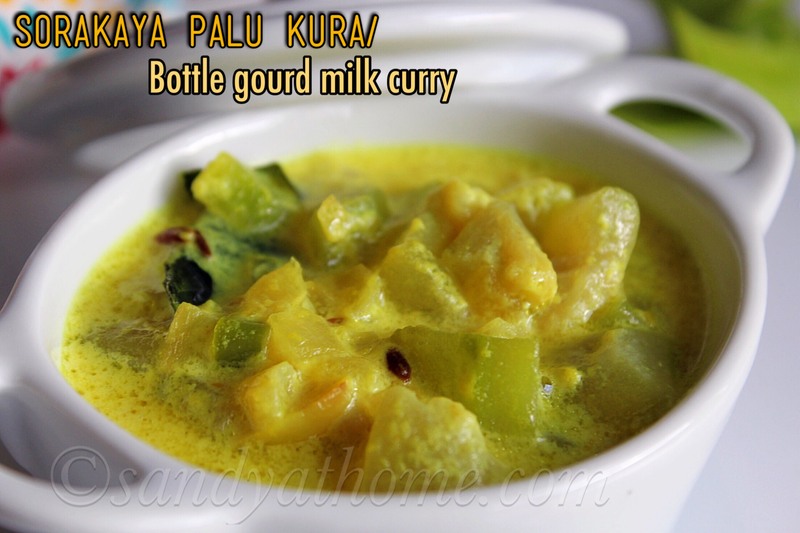 When done remove from tawa and serve it hot with chutney and pickle!